Beyond the 2008 Beijing Olympic Games the Beijing Subway/Metro System was further expanded with many new lines extending into the suburban districts of the Megametropolis of Beijing. Depicted below is a Map of the system as it is planned and scheduled to be operational in the year 2015. Travel about the central city and suburban districts by underground train with remarkable ease. All Beijing landmarks now unlocked! The 2008 System upgrade already was a huge advance in comparison to the old and outdated two-line system. The new system planned for 2015, will connect to all corners of all city districts and 6 inner-suburbs, unlocking previously unvisited sites for foreign visitors. 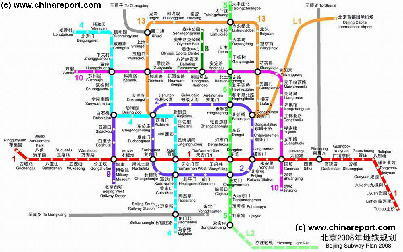 Use the Subway/Metro system to travel away from Beijing City Center to dwell in places rarely seen in your travel guide. 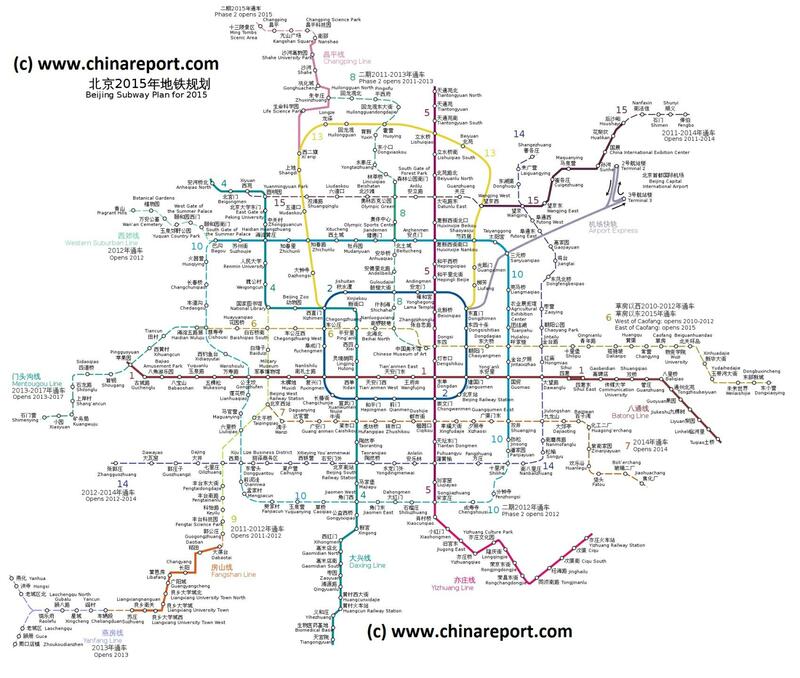 Read more about the Modernizations of the Metro/Subway System on the Beijing Subway designated Page, or in the Full Introduction to the Beijing City Public Transportation System !! Full Line Now Open !